The 2018 Job Act will bring many changes to US households. It will also significantly impact the nonprofit industry and how and why people choose to donate.The 2018 tax changes allow individuals a standard deduction of $12,000 ($24,000 for married couples). This means those who are more likely to itemize their deductions may not find it advantageous as it has been in the past. In 2017 there were 269.7 million registered cars in the United States, with an average age of those cars being 11.6 years old (both record levels)… In 2016, it was estimated the number of vehicles 16 years and older on the streets is expected to grow from 62 million units to 81 million units in 2021. 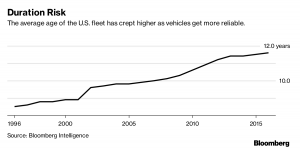 These numbers tell us a few things, first it is safe to say Americans are changing how they feel about cars and driving them longer than they used to. Second, it shows us there will be a significant amount of cars available for donation. Car donation is impactful to not only the charity but to the environment, too. Many of the cars donated every year are end of life vehicles (ELVs). The automobile is the most recycled consumer product in the world. Every year, over 25 million tons of materials are recycled from old cars. When a car is ready to be scrapped, almost the whole entity of the vehicle is able to be sold, repurposed, or recycled. In the U.S and Canada, the car recycling world produces enough steel to produce nearly 13 million cars each year. We take the car donation business seriously and have proudly raised more than $140 million dollars to charity and counting. There are many car donation programs that promise to donate your vehicle to organizations that you may know little about and they are not willing to share a lot. Do not become a part of their scam by falling for catchy jingles and bad marketing. Car Donation Wizard only works with the very best 501(c)(3) organizations. And, we return between 75-80% of the gross dollar from each car donation back to the charity unlike any other car donation program. In truth, it may take months or years to see what the tax changes does for us individually and as a country. Let’s not forget, in the long run donating goods to charity is ultimately not about the money a person may receive in return, but rather the gratification of giving to an organization and the people that benefit from it.